Using regular sized interleaved hand towels is a waste of paper and money where small children are concerned. 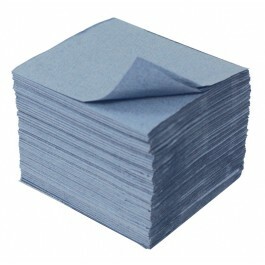 Our Children's Blue Paper Towel measures 230x120mm, when fully opened, offering fantastic value for money. An amazing 10,000 towels are packed into every case and each towel is individually dispensed for ease of use. 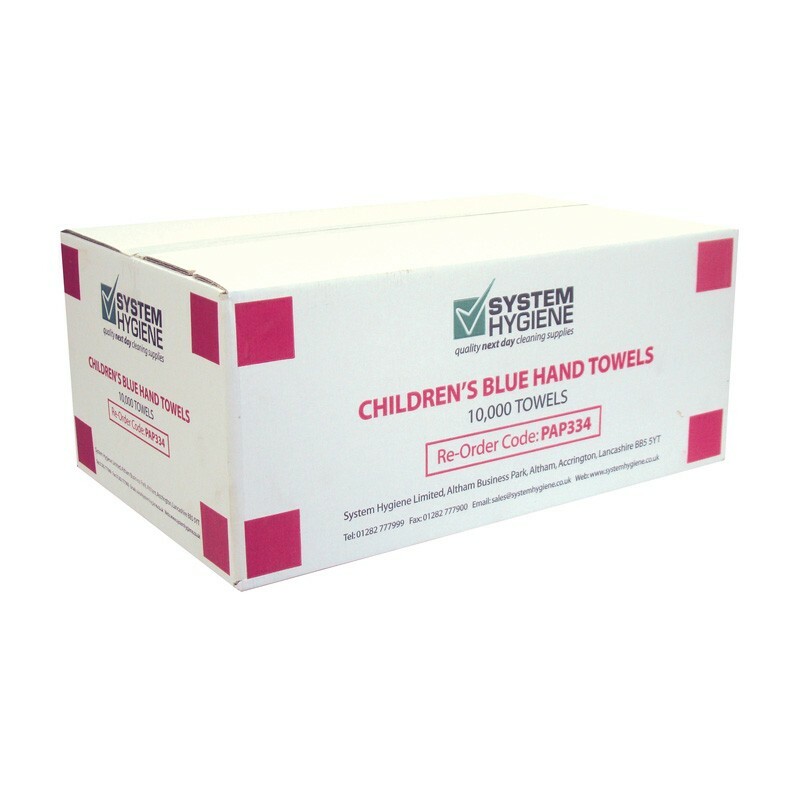 This product has been designed for use with either a metal or plastic children's hand towel dispenser. Ideal for use in nursery, junior and infant schools. 10,000, 1ply, blue, interleaved towels per case. Get 100% more usage from a case of children`s hand towels when compared to normal interleaved hand towels. Reduces mess and wastage and saves you money. Dispensers can be topped up whilst in use - never need run out. Super soft and absorbent and ideal for small hands. Same great quality as our full size paper towels. Help prevent cross contamination - dispenses one sheet at a time.